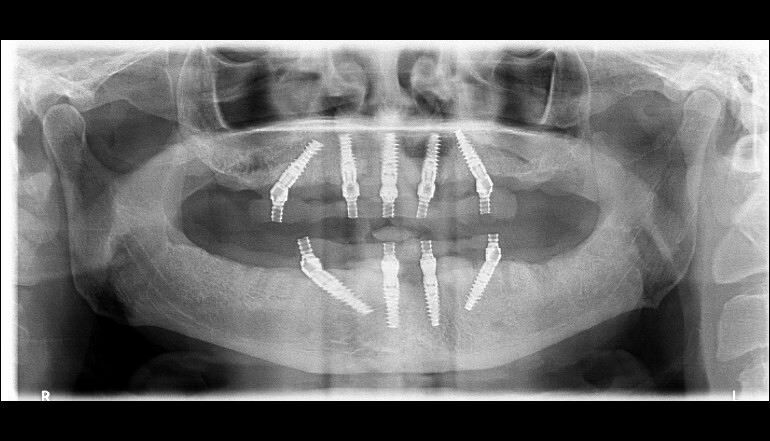 Patient required all periodontally infected and carious dentition to be surgically removed and All-on-4™ implant procedure performed. 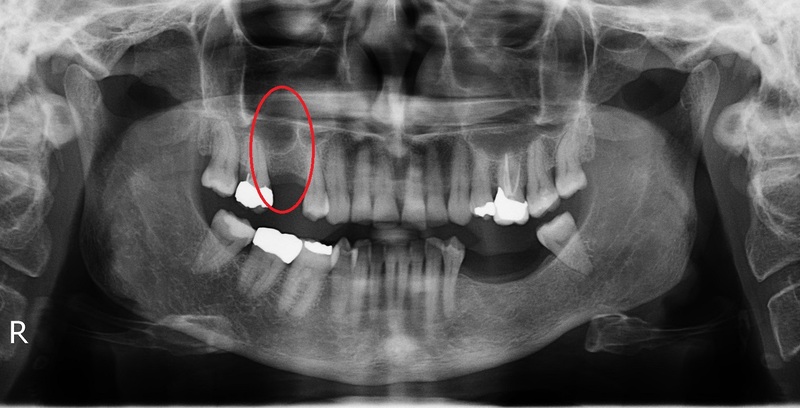 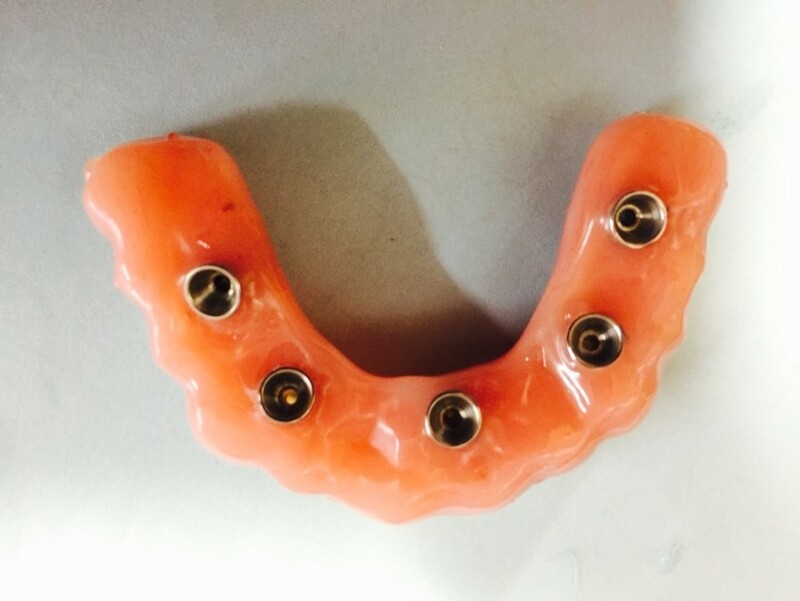 Patient presents with an existing mini-implant retained denture where 2 of the 4 mini-implants had previously failed. 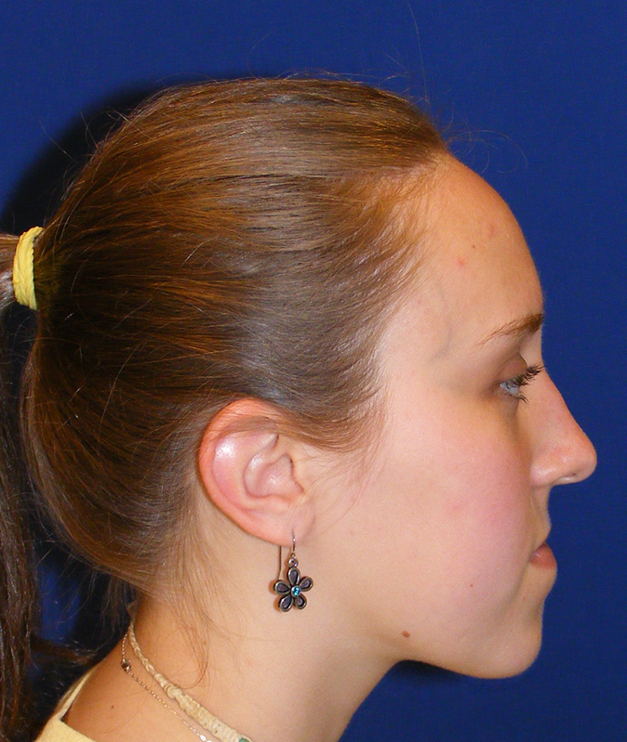 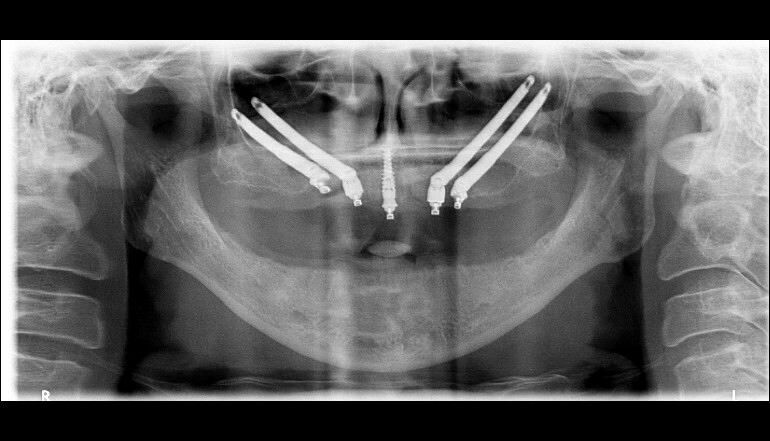 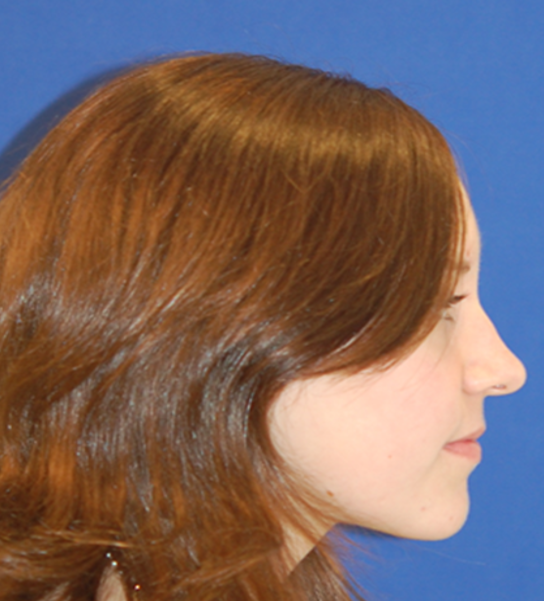 Due to a severe loss of bone volume the solution for this lovely patient was to place 4 zygomatic implants and one regular implant to support her denture. 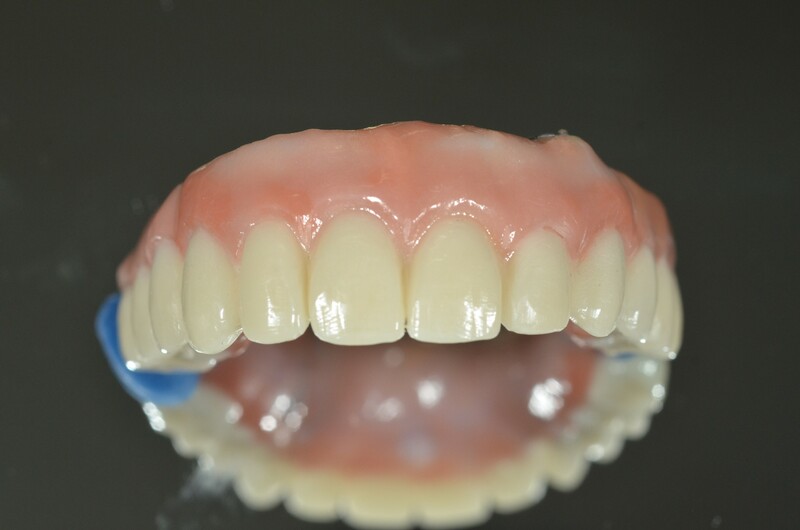 Patient presented fully edentulous (all teeth missing). 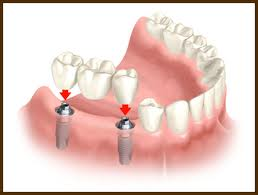 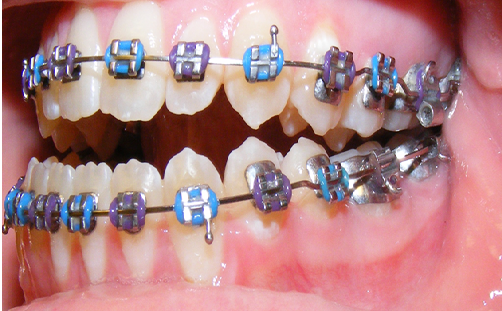 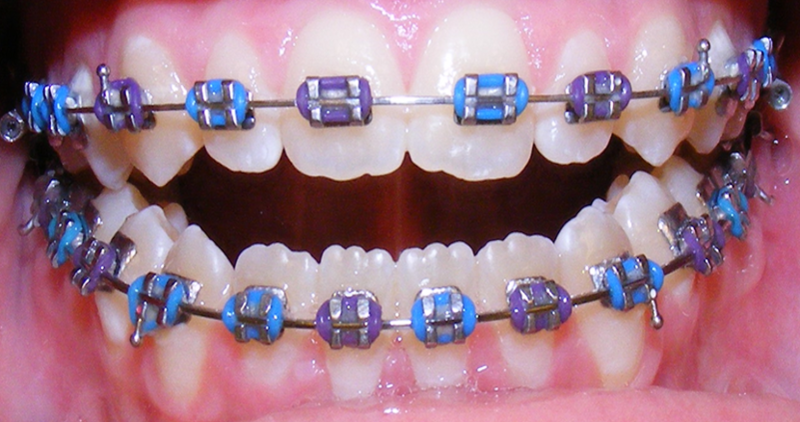 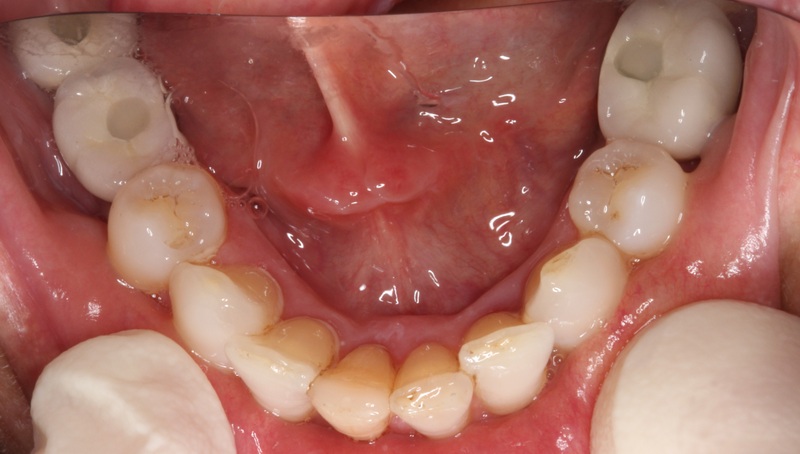 Two lower implants were placed with locator abutments to support a full mandibular denture.